When you wake up in the morning, the first thing that goes through your mind would probably be to reach for a cup of hot coffee or tea. Besides, they basically help to boost your mental alertness and get you started regardless of work, study, exercising or doing household chores. You may even start the day by consuming a glass of cool water. But did you know there’s a better way to start your day in a positive manner? That would be drinking a glass of warm water first thing in the morning. Here are the 8 Health Benefits Of Drinking Warm Water In The Morning. Think of water as a form of lubricant. A clear liquid that aids your digestive system and ensures it works in proper order. A glass of water, especially a warm one, can help to flush out the toxins from the body. This is because warm water helps to break down or dissolve the food particles that have been amassed the night before (read: dinner and/or supper), which allows you to eliminate waste easily through bowel movement. Suffering from constipation can be truly irritating. But fortunately, this can be countered by practising a habit of drinking a glass of warm water every morning on an empty stomach. That means grab a glass the moment you wake up from bed right before you start taking your breakfast. Warm water actually helps your intestines to compress, ensuring the old waste in your body is able to flush out during bowel movements. 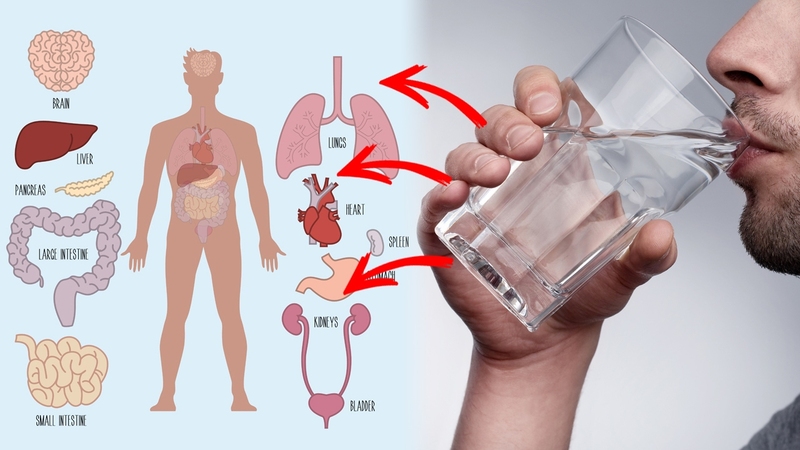 A glass of warm water does help in some ways to improve your overall blood circulation. Here’s how it works: every fat deposit in the body that has been accumulated overnight will be flushed out or eliminated when you consumed a glass of warm water. This, in turn, helps to promote better blood circulation in your body. Losing weight isn’t just about having the right diet and engaging in a constant workout. Believe it or not, warm water does help in weight loss. It basically works by increasing your body temperature — a result that leads to an eventual spike on your metabolic rate. Which means that your body is able to burn more calories during the day. 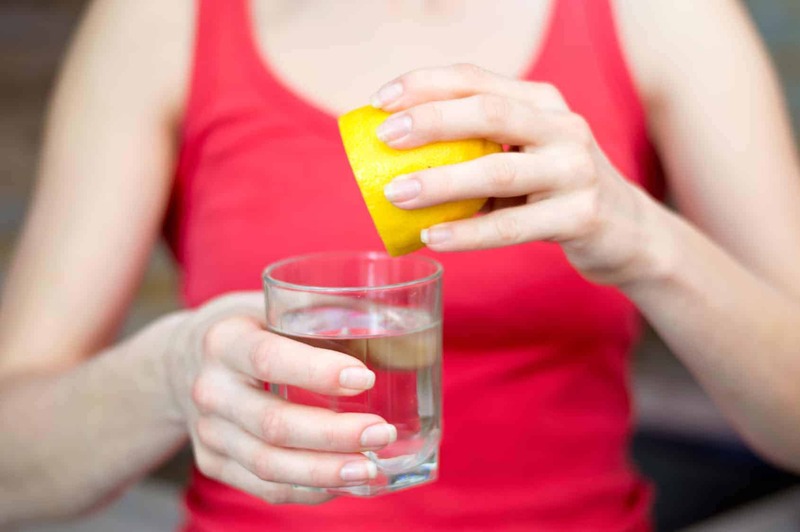 In case you hate the bland taste of warm water, try adding lemon to spice up your drink. The lemon itself can help boost your metabolism while the combination of warm water prevents you from an unnecessary food craving, thanks to the lemon’s pectin fiber. Since warm water relaxes the muscles and calms your nerves, it can actually help to promote a restful sleep during the night. Make a habit of drinking a glass of warm water during dinnertime and before bed. All the unhealthy diet and regular craving of fried food, soft drink and whatnot can take a toll on your body and your skin. These toxins build-up can cause premature ageing over time if you neglect to do something about it. Which is why drinking a glass of warm water on a regular basis helps to get rid of the toxins from the body. By flushing them out, this would help your skin cells to repair itself while increasing its overall elasticity. Suffering from headaches or menstrual cramps? A glass of warm water in the morning might help. It relaxes the muscles in the body, which in turn, helps alleviate the pain at the same time. Drinking a glass of warm water can work both ways in alleviating the symptoms of cough and cold/flu. First, it helps to relieve your sore throat commonly associated with cough. Add lemon to your warm water with a spoonful of honey may also help loosen nasal congestion.